Welcome home! 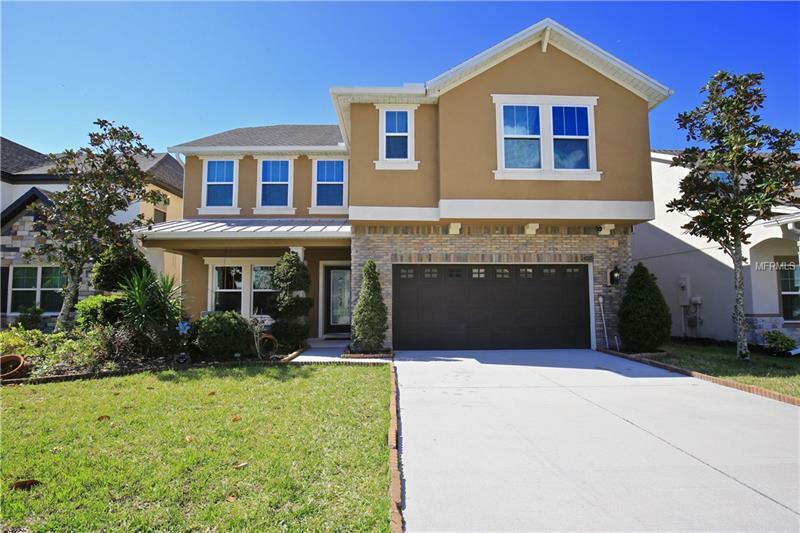 Youâll be 2 miles from the Waterford Lakes Town Center and 3 miles from UCF, close by Congo River Golf, Fairways Country Club, Eastwood Golf Club, downtown Avalon, East Colonial Dr and 408. This luxurious landscaped home for sale in Waterford Creek features stone faÃ§ade, a two car garage, covered front porch, screened lanai and a fenced in backyard. Inside youâll be impressed by the architectural details including elegant tray ceilings and custom accents. The formal dining room with gorgeous ceiling detail leads into the captivating great room with ceramic tile floors, accent frames and access to the covered back porch. The gourmet kitchen houses 42â cabinets, granite countertops, stainless steel appliances, a center island with bar top seating, a breakfast nook, pendant lighting and pantry space. Adjacent to the great room there is a butlerâs pantry, half bath with a pedestal sink, and a guest bedroom (not pictured). Upstairs youâll find a loft space perfect for a home office with beautiful ceiling detail and accent lighting. The bedrooms each feature unique accent walls you can have fun designing with! Two of the bedrooms share a Jack and Jill bathroom with a tub/shower combo and two vanities. The impressive master suite presents a built in headboard, painted tray ceiling with crown molding, dual vanities, a standing glass door shower, linen closet, huge walk in closet, and a garden tub. This custom luxury home for sale in Waterford is waiting on youâcall today to schedule a showing!